Five Fun Days is a great event where local kids are invited to come and share company for a week. 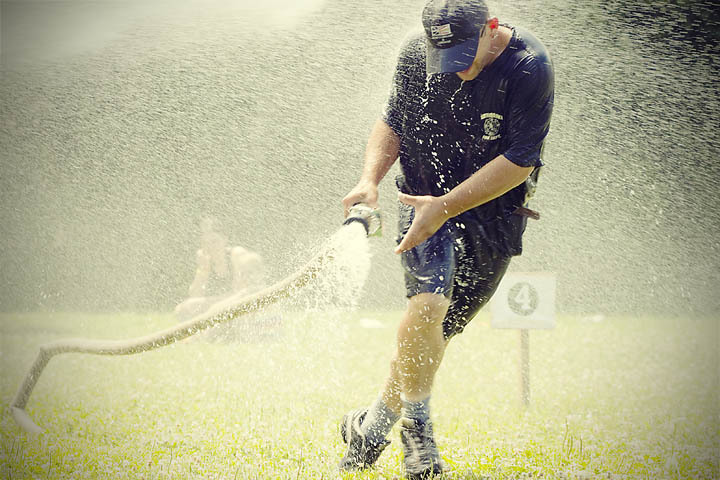 It's made even more interesting by the fact that the activities are punctuated by the presence of North Middlesex firefighters who hose down the kids with fire hoses. Sometimes they get each other instead. Camera: Canon EOS 50D Lens: Canon EF 100mm f2 Light: Existing ISO: 200 Exposure: f5.6 @ 1/320 sec.